I think I've watched the bareMinerals infomercial roughly 14 times. From start to finish. I can't help it, it combines my love of makeup and beauty with the ever so addictive infomercial. I've never ordered it though, because I'm always pretty skeptical of things sold via TV and I didn't think the makeup would work for me. Though to be honest, regular liquid foundation never really did the trick for me. I have combination skin and it slid all over the oily parts and made my dry scaly skin look even more pronounced. No luck with powder foundation either, it just didn't have staying power and I ended up looking pretty flaky. Earlier this year for my birthday, Steve my fiance, bought me a starter kit (and a pet hamster too). I got it in Medium from Ulta. It had 3 brushes, two shades of foundation, a blush that was supposed to be universally flattering, mineral veil (a kind of finishing powder that goes all over), a bottle of Skin Rev-er Upper (which is a light moisturizing vitamin lotion) and a DVD on how to use it. The DVD didn't work for me, but having watched the infomercials more times than I have fingers, I thought I'd be alright. It's simple enough, you shake a little of the powder onto the cap, swirl it around with a brush, tap off the excess and buff it around your face in small circles. I quickly learned that less is more, and I was shocked at the coverage provided by the tiniest bit of product. 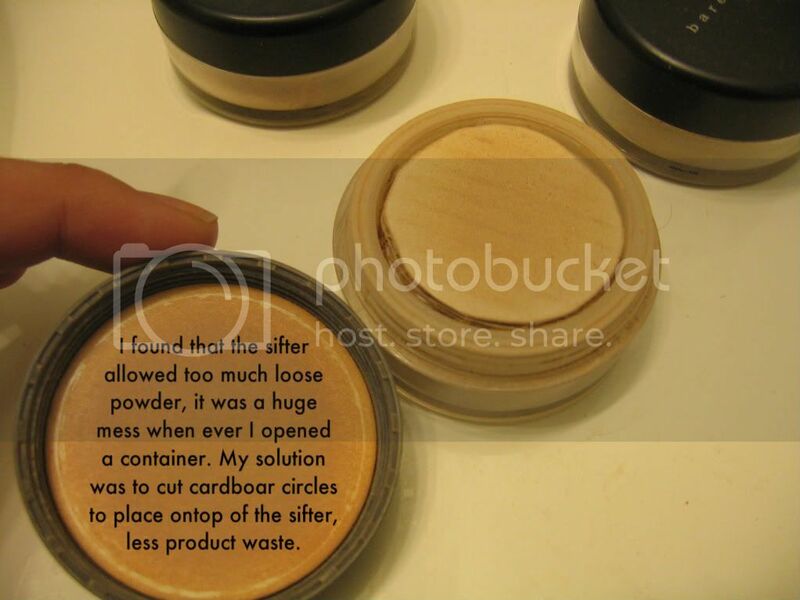 I couldn't believe how fine the foundation powder was, it almost felt like cream on my skin. It wasn't dry like flour but rather it felt like my face was being kissed with silk. I fell in love. I vowed to never use another foundation again (a promise I've upheld). To top it all off, you repeat with a bit of the Mineral Veil, which is colorless on skin. It keeps the oil at bay but at the same time, you don't get that old people matte look (you know, the dreaded dull skin). I can't for the life of me, figure out how this powder manages to give my face this nice soft focus, it just shouldn't be possible. I really love the brushes. 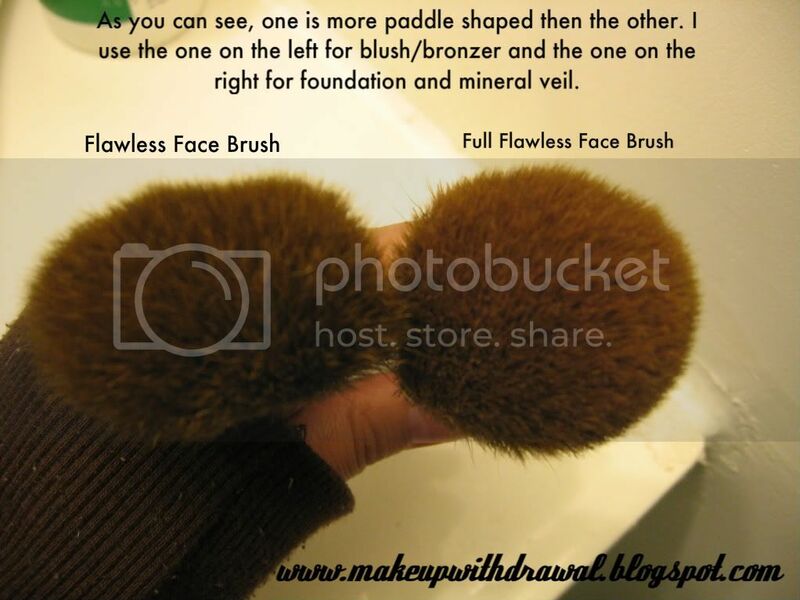 All three are different, the first is a full flawless brush which I use for foundation and the mineral veil. The hair in this brush (and the flawless face brush as well) are very dense and very soft- two things mineral brushes need to be. 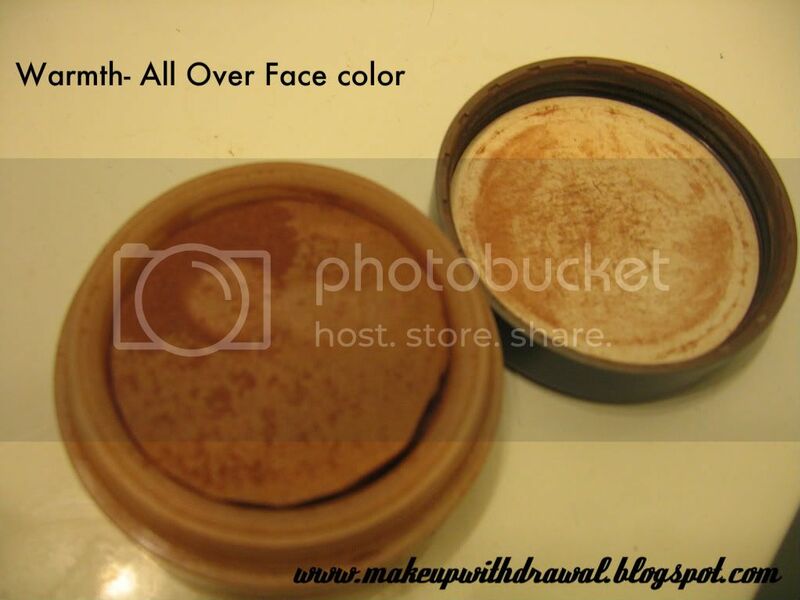 It helps distribute the fine powder evenly- better coverage. The second brush is a bit flatter than the first, almost like a paddle. I use that one for blush and bronzer. The last one is a small synthetic brush that is great for concealer- you simply pack on a bit more of the foundation with this brush and it doubles as concealer. The coverage is great for overall skin- covered my discoloration, acne scars and disguised my pores but it didn't hide a gigantic pimple so I used MAC Studio concealer for that. Still, a good value- even if I had bought the right color foundation ($25), the mineral veil ($19) and the full flawless application face brush ($28), I'd be spending way over the cost of the kit. So it's a a great value considering the fantastic brushes you get. If you really want to save money, I'd suggest going to Sephora, Ulta or a Bare Escentuals store and have someone working there match the foundation tone for you and just buy that. You can use a plain powder brush as long as it's very dense or buy a dupe of the bareMinerals brushes at CostalScents.com. Another great alternative is Eco Tools Bamboo Powder Brush. Cost: $48 for Get Started Kit containing two shades, blush, 3 brushes, mineral veil, free gift and DVD. Similar: There are a few very similar brands such as Everyday Minerals, Pur Minerals and so forth. 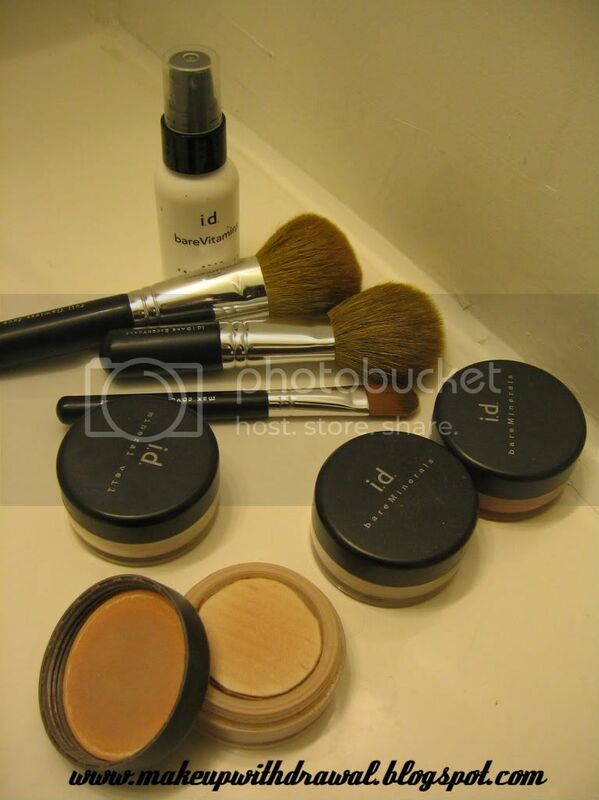 There are plenty of sites online that have their own blends of mineral makeup that cost considerably less. Edit: After about 2 more months of wear, it started to break me out badly- bismuth allergy I suspect. Makeup, how I love you so.